To follow up on my post from yesterday about whether or not going for Hyatt Diamond status is worth it, I asked TPG contributor Nick to write up a comparison of the top-tier status levels at the major hotel chains both as a primer to folks new to this game as well as a reminder of why we all do this, for those of you who are points pros. As points and miles enthusiasts, we all love redeeming our hard-earned currency for a variety of unique travel experiences, and free nights in luxurious properties around the world play a large role in this endeavor. However, earning and retaining elite status in one (or more) hotel chain(s) can make these free nights even more rewarding. But what level of status should you aim for? Which chain offers the best value? In this post, we will compare top tier statuses across the five major hotel “brands” to help you get the most of your redemptions. Do reward nights count towards status? * Note that these benefits are those published by the respective chain and can vary depending on the hotel. For a complete list of benefits, please use the links provided above. Qualification: This refers to the number of nights, stays, or base points needed to qualify for the highest level of status. As you can see, some programs offer more flexibility for their members, especially those with many one-night stays or very expensive nights. You’ll also notice that certain chains count reward stays towards elite status, allowing you to rack up the stays/nights without spending as much out of pocket. Best in class: Well there are really two ways to look at this. The easiest chain with which to attain status is Starwood tied with Hyatt at 25 stays/50 nights, but SPG holds the tiebreaker by counting award stays and cash & points stays towards elite status. However, some travelers would say that Marriott is actually the best in class by being the hardest to qualify for. After all, what good is an elite program without being truly elite! Bonuses: This refers to the additional points top-tier elite members earn on regular stays. Best in class: While all but Hyatt offer 50% bonuses for top-tier elite members, I’ll give the nod to Hilton, since they offer the same bonus whether you choose to earn just points or “double-dip” with miles. With the other four chains, any and all earning bonuses are negated when you opt for miles instead of points. My favorite kind of email: upgrade notification! Upgrades: Booking a standard room (using points or cash) and getting upgraded to a much nicer (and more expensive) room is one of the best benefits of hotel elite status (in my opinion). 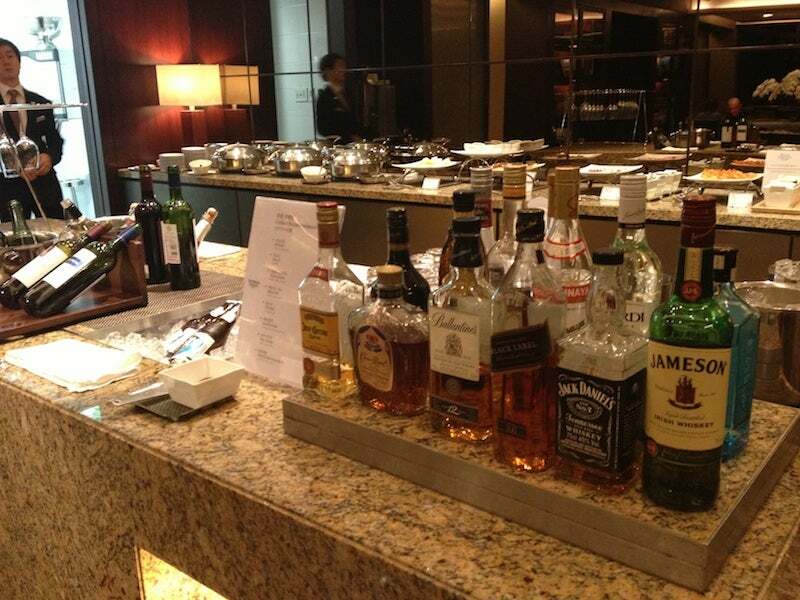 As you can see, all chains offer their top-tier elite members space-available upgrades at check-in. This can vary greatly depending on the property, occupancy rates, or even the front desk agent checking you in. A good rule of thumb: always ask politely about the possibility of an upgrade. Best in class: This is truly a toss-up. All chains offer complimentary room upgrades, and all but Hyatt include suites in the upgrade pool. Hyatt makes up for this drawback by offering Diamond members four suite upgrades to be used on paid stays each year that are good for stays of up to a week each (a potentially huge value) while Starwood offers uber-elites who have stayed 50+ nights 10 suite night awards per year. At the Westin Seoul Chosun, SPG Elite Members have access to the Executive Club Floor which has a lounge serving cocktails and canapes from 5-8pm daily. Freebies: Most hotel chains offer their top-tier guests a variety of freebies (aside from upgrades) during their stays, including complimentary internet, continental (or full) breakfast, access to club facilities (if available), and/or bonus points. Best in class:This again is basically a toss-up(excluding Priority Club, which doesn’t have any published freebies, though many Platinum Elites have reported receiving free drinks or other amenities at certain properties…as always, YMMV). As a top-tier elite with Hilton, Hyatt, Marriott, or Starwood, you should never need to pay for internet, breakfast, or access to lounge facilities. Priority Club is way behind the pack on this one, though. Availability Guarantee: All of the major hotel chains offer top-tier elites guaranteed availability when booking within a certain time frame. In reality, this doesn’t carry a ton of value. Last-minute “guarantee” rooms at sold-out properties tend to be quite pricey, and all five chains note that certain hotels may not be able to honor the guarantee during special events or high demand. In other words, don’t be surprised if you can’t book a New Year’s Eve stay at the Marriott Marquis in NYC two or three days in advance! Best in class: Hilton, Hyatt, and Marriott all offer 48-hour guarantees. HVC tiers: A recent trend across all travel industry segments is for companies to offer greater rewards to their highest value customers (or HVC’s for short). A Hyatt Diamond who qualifies with 25 one-night stays of ~$100 at Hyatt Place properties enjoys the same benefit as one who spends 150 nights in large cities at $300+ a night. In my humble opinion, hotels should reward those HVC’s sort of like the difference between United’s Premier 1K’s and Global Services flyers who spend more money on the airline. As of now, only one (Starwood) currently offers a published, formalized way of doing so. Members who qualify for Platinum with 50 nights now earn 10 Suite Night Awards. These can be used to confirm an upgraded room beginning five days in advance. Members who qualify for Platinum with 75 nights earn 100% earning bonus (as opposed to 50% for “regular” Platinums) and can also take advantage of Your24TM, which allows guests to choose a 24-hour stay period. That being said, other chains do offer unpublished “uber-elite” tiers for their HVC’s, but SPG is the only one to publish qualification details. (For more info, do a Google search for Intercontinental Royal Ambassador, Hyatt Courtesy Card, and Marriott Platinum Premier.) Given the current trends in the industry, I wouldn’t be surprised if other chains follow SPG and begin offering clearly differentiated top-tier status. Starwood offers SPG Lifetime Gold or SPG Lifetime Platinum status. Lifetime status: For the road warriors out there, transitioning from a job requiring heavy travel to a more normal 9-5 one can be a sudden shift. Many airlines and hotels follow a “What have you done for me lately?” policy when it comes to retaining elite status and drop your status within a year of staying or flying less frequently. Some will occasionally offer a so-called “soft landing” when your travel drops, but for most of us, no travel = no benefits. Fortunately, many hotel chains recognize the long-term benefit of offering lifetime status. 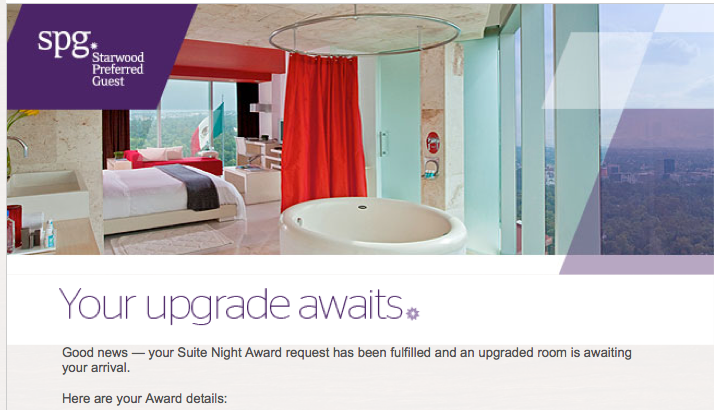 Best in class: Once again, SPG clearly offers the quickest path to lifetime Platinum status. 500 nights plus 10 years of Platinum status (they don’t need to be consecutive) is certainly not easy to achieve, but it is simpler than the others that offer lifetime status. Credit Card Spend: All the major hotel chains have co-branded credit cards, but the benefits vary from a set number of stays/nights credit for having the card, to automatic elite status, to status from spending threhsholds. Best in class: Although the Priority Club Visa just grants cardholders Platinum Elite status outright, the benefits are so paltry that I don’t think it’s the winner here. The Hyatt card awards you 2 stays/5 nights credit toward elite status when you spend $20,000 per year (and another 3 stays or 5 nights credit when you spend an additional $20,000 the same year). The Starwood card is great for airline transfers and gives cardholders 2 stays/5 nights credit toward elite status, and automatic Gold status when you spend $30,000 per calendar. However, the Hilton cards are the winner in this category in my opinion since they grant elite status outright, and both the Surpass and Citi HHonors Reserve card allow you to spend your way to top-tier Diamond status. At the end of the day, we all have different travel patterns and preferences, so you should select the chain that best meets your needs. I won’t even try to select the “Best Overall” top tier status, especially since I only have personal experience with two of them. However, I will share one suggestion that I have only recently come to appreciate: if you are a very frequent traveler (75+ nights a year), there is no reason not to at least investigate earning top-tier status with two (or more) chains. I had always been a Hilton guy through-and-through, with an average of 60-70 stays and 100+ nights a year. This was especially lucrative when Southwest was a double-dip partner, as it allowed me to earn a companion pass for 2+ years with only a handful of paid flights. However, when Southwest and Hilton terminated their partnership, I came to the realization that I could send half of those stays/nights elsewhere, keep my same Hilton status, and earn top-tier status with another chain. Again, everyone has different thoughts about which chain’s top tier is best, but I (personally) have found that spreading your stays can be quite rewarding. What is your pick for the best top tier status and why? I’d love to hear your experiences with these five chains or any others (Choice, Best Western, Club Carlson, etc.) that I didn’t mention, so please comment below!